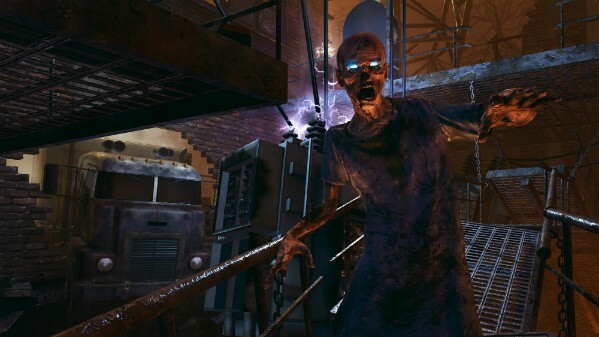 Black Ops II Zombies' mode getting expanded, features new modes and open exploration! 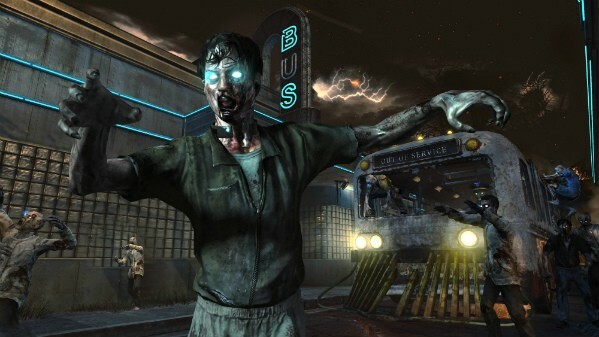 Zombies' are making their return in Black Ops 2, and will be more prominent than ever. Aside from the survival mode that players have enjoyed since World at War, Black Ops II zombies brings new playable characters and game modes, new special zombies, and both new and familiar weaponry to use in the modes. The quick teaser that debuted a week ago showed a bus being attack by zombies, and that same bus will serve as transport in the game's Tranzit mode, an open world-esque mode that allows for players to explore and survive against the zombie horde. The mode promises to be pretty expansive, so players can check out different zones and gather items to survive, is Zombies' new story-based campaign set in an "expansive world" for players to explore. The other new mode is title Grief, and allows for 8 players. In this 4v4 mode, players must eliminate the opposing team, only they cannot harm each other which means that they'll have to utilize the undead to claim victory. Griefing is a term that I usually associate from Minecraft, where players would intentionally disrupt others by either killing or sabotage their creation. Zombies are getting some serious treatment for Black Ops II and looks to really build on the gameplay that many love from the past Treyarch titles.